Last night I went to my first punk rock concert. (Actually it was Gypsy Punk which I think sounds cooler). I've never really been a fan of Punk... but I've mentioned before how Dave is a huge music fan and collects records. Well he has been talking about this concert for a while now, and finally I decided to just give in. I do try to support his hobbies, and knew it wouldn't kill me to go to a concert. I went in not really expecting much. I thought there would be a mosh pit, and a ton of sweaty bodies and loud screamy music. I had never heard of the band before walking in. I did experience some of those things, but I honestly had so. much. fun. 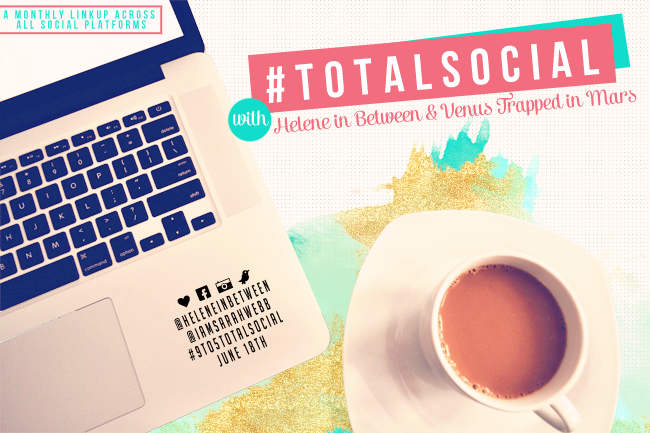 So I had to choose this for Helene and Sarah's #totalsocial link-up prompt today. My favorite new experience. Gogol Bordello was the band that we saw, and they were amazing. Their music was catchy, and had an amazing beat to it. I've never been to a concert where the energy in the crowd was more electric. I also thought it was so interesting what instruments were in the band. They had an accordion and a violin. It made for some seriously cool sounds. All of the band members are from different parts of the world, and they use a bunch of different languages and influences in their music. In their mission they say that their "theatre is chaotic and spontaneous, and because of that is alarming and response provoking." Which honestly could not be more true. It was the most real, energized, audience connected performance that I have seen in a long time. And it was refreshing. I have to admit that I seriously underestimated punk. Who knows? Maybe Dave and I will go to some more concerts in the future?